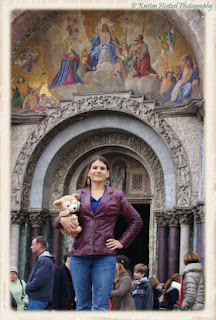 Cooking With Mickey: Duffy The Disney Bear Travels The World! 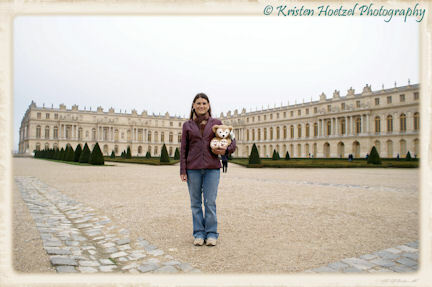 Duffy The Disney Bear Travels The World! 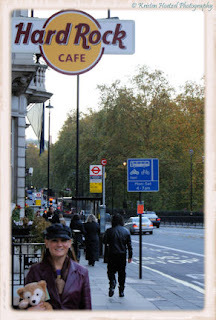 November of 2010 I took a trip that went to England, Netherlands, Germany, Austria, Italy, Switzerland and France. 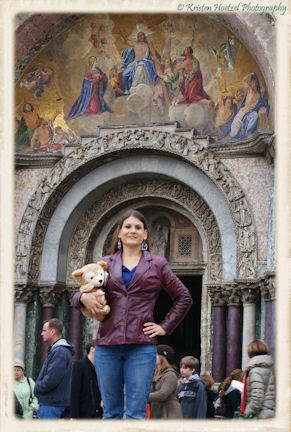 I decided to take Duffy on a real trip around the world. 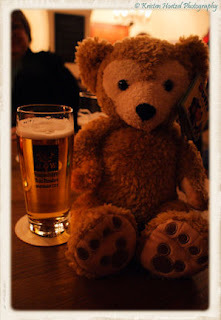 Here are several photos from Duffy's journey. Duffy visiting the very first Hard Rock Cafe which is located in London, England. Duffy is hanging out at Gasthaus in Innsbruck, Austria. He's waiting on his Weinerschnitzel for dinner. Duffy visits St. Mark's Square in Venice, Italy. He enjoys the story of how the Venetians stole St. Mark to get him to Venice. Duffy is hanging out on one of the walkways that is set up for when the square is flooded. He is ready to do some shopping. 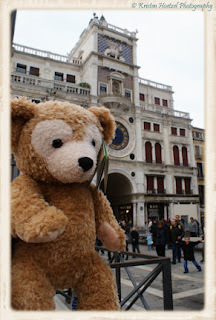 Duffy already knows that he wants a Venetian mask. 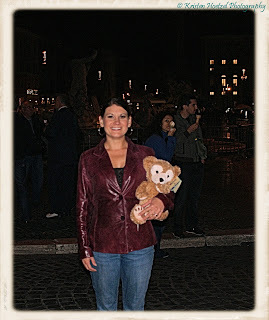 Duffy checking out the artists in Rome at night and getting ready to have some roasted chestnuts. Yum! 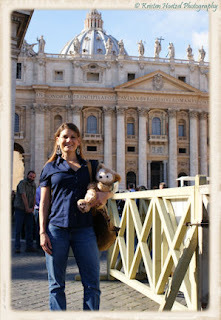 Duffy site seeing at St. Peter's Basilica in Vatican City. He enjoys the old elaborate churches of Europe. 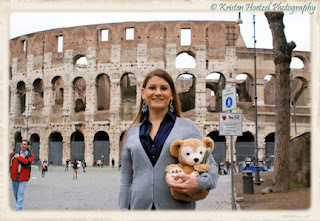 The Colosseum is nice and Duffy wishes he could have his picture with the Gladiator who looks like Russell Crowe. 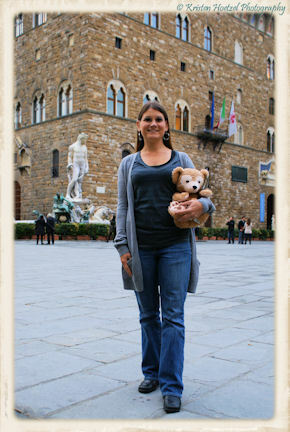 Duffy checking out the city of Florence. He likes all of the status in this square. 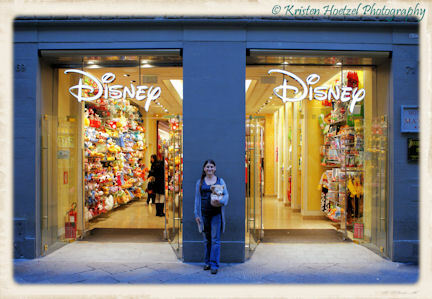 The Disney Store in Florence. Duffy couldn't pass this up without checking to see what cool merchandise they had that they don't back home. Lots of very cool stuff! 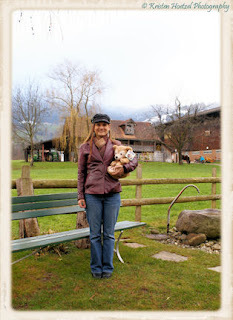 Outside of Lucerne, Switzerland Duffy went on a carriage ride through a very rural area that is very peaceful and quiet. He enjoyed siting up front and watching Heidi pull the carriage. The ride was out to a farm to taste some homemade breads, cheese and wines. Delicious! On a scenic boat ride through Paris, France. You can see the Eiffel Tower behind Duffy's head. 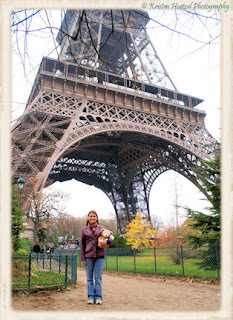 Duffy visits the Eiffel Tower and goes up but unfortunately it's a cold and cloudy day so the view isn't the best. 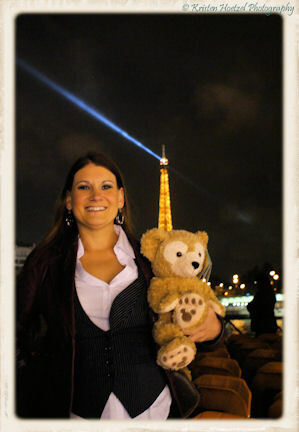 Another picture of Duffy at the Eiffel Tower. Now it's time to stop by a souvenir shop to pick up something Parisian before heading to our next destination. The Palace of Versailles, the home to Marie Antoinette and King Louis XVI. It's huge but not as elegant as many of the other castles in Europe. 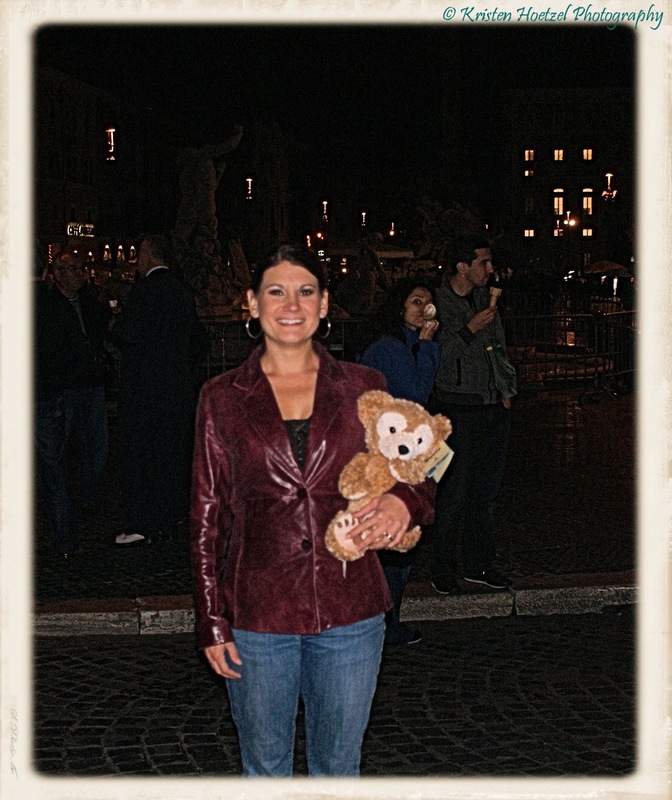 I hope you have enjoyed getting to see Duffy travel around the world. He has more adventures to come. This is just his first of many. For those of you wonder if anyone looked at me strange.... YES! However, I could have cared less. I was having fun taking Duffy on some real adventures. How fun! My daughter and husband go to London and Paris in 20 days! This gives me an idea! I love this!!! I love that you didn't care about the looks, and all the photos you shared with us. Such a great post!